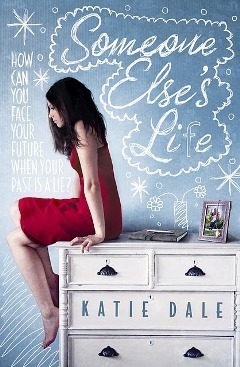 Katie Dale is the final author to join us from The Edge blog. Her debut novel Someone Else's Life is published in February 2012. If you would like to know more about The Edge blog, then please click here. Firstly, can I thank you for joining me today on my blog. Hi! Thank you so much for having me! What did you do for a living before writing became your chosen career? I trained as an actress, so I spent several years pretending to be other people! My favourite jobs were a post-apocalyptic feature film in a haunted castle in Scotland and a national Shakespeare tour (Romeo & Juliet and Twelfth Night) performing outdoors even in thunderstorms – not easy when you’re pretending to be dead on stage for twenty minutes! How long did it take you to write your debut novel ‘Someone Else’s Life’? Where did you get the idea for the book? The story really evolved as time went by. Originally it was going to be a book about a girl who discovered she’d been swapped at birth – I was really interested in how a character would deal with the revelation that everything she knew about herself was a lie. Then I came across Huntington’s Disease – a condition I’d never heard of before – and that became a big part of the story. I’ve been writing since I was a child – my Mum is a children’s author – so there are loads of little manuscripts lurking around at home! But as an adult I’ve also written half a dozen picture book manuscripts and a screenplay I’d like to develop and pursue at some point. I understand an extract of your book was published as part of the Undiscovered Voices anthology 2008, did that help you find an agent? Yes. Absolutely. I owe an awful lot to Undiscovered Voices. I had been sending out the first chapter of Someone Else’s Life to agents for ages, and while some showed interest, no-one was ready to sign me up. When I was chosen as a winner of Undiscovered Voices I got a lot more interest and one of the judges of the competition was Orchard senior commissioning editor Catherine Coe, who offered to meet with me when I got home. She was completely lovely, but ultimately thought my novel was too old for her list at that time – so I showed her some younger stuff I just happened to have brought along – and she loved it! She gave me my first publishing contract – for eight books! – and my Fairy Tale Twists series will be published in January 2012! I then approached agents all over again and, with a publishing contract under my belt, they were a LOT more interested! 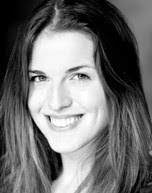 In the end I got offers from four wonderful agents and was spoiled for choice, but decided to go with the lovely Jenny Savill at Andrew Nurnberg Associates. Wow, my book was LONG when I gave it to my agent – 140,000 words, which is pretty much twice the usual length of a YA novel! So we spent about four months working hard on it together, editing, improving and cutting it down to 100,000 words before we felt it was ready for submission to publishers – then crossed all our fingers and toes! I was waiting to go to the cinema with my boyfriend for our anniversary– we’d been waiting in all day for a call from my agent but because she was talking to the US it was getting quite late. Finally Jenny emailed me the offer from Delacorte Press – I was stunned! But the editor wanted to chat to me first, so she rang at about 10pm and I was still in complete shock and babbled and even got her name wrong! But fortunately that wasn’t a deal-breaker – phew! My boyfriend and I had pink champagne to celebrate, and still made it to the cinema – the midnight showing!! That conversation was back in Spring 2010, and the book’s due to be published in February 2012 – so pretty much two years! It’s been an amazing experience with so many exciting moments, and now I can’t wait to finally see my book on the bookshop shelves! What was happening to your manuscript during this time? I have editors in the UK, the US, and Canada, as my book’s being published in all three countries at the same time, and between them they gave me 80 A4 pages of edits! So we’ve been working together all this time to make the novel as good as it can possibly be, as well as discussing titles (the original title was Someone Else’s Footprints) and cover designs – it has a different US/Canadian cover to the UK one – and I’ve enjoyed absolutely every minute. How are you keeping yourself occupied as you wait for publication day? I’m working on Book 2! I was lucky enough to be offered a two-book contract, so I’m furiously scribbling away on the second novel. It’s another YA, though not a sequel to Someone Else’s Life – hopefully it won’t take eight years this time, as I’m on a deadline! How will you celebrate on publication day? I think it’s actually out on Valentine’s day, so I’d better go out for dinner with my other half! Other than that, I’ll be celebrating with my family – we’ll probably go out to dinner, perhaps play spot-my-book in a few bookshops, and drink something bubbly. We’ll probably play mini-golf too. We’re always playing mini-golf! What are working on next? My second book is again YA, but it a bit more of a thriller. Tall, dark, and handsome, the first time Sasha meets mysterious Christian she knows he is The One. But Christian is hiding a terrible secret. Why does he clam up every time Sasha asks about his past? Why does he have the initials L.N. engraved on his watch? Why doesn’t he have any family – and why does he dye his blond hair black? Then when Christian’s house goes up in flames, his tyres are slashed, and he flees for his life, Sasha insists on going with him. But as Christian’s secret is unveiled in front of the whole world, it seems everything he’s ever told Sasha is a lie. Even his name. Her loyalties torn, her emotions in tatters, Sasha must decide whether to stand by the man she loves, or turn him over to his pursuers. Can what they’re saying about him really be true? Should she trust him? Or is she in terrible danger…? But Christian isn’t the only one keeping secrets. Do you write full time now? Yes. I feel really lucky to be able to spend all my time doing something I love. Tell us what a typical writing day would be like? I’m not sure there’s such a thing as a “typical” writing day, as the great thing about working from home is that you have the freedom to be flexible. Plus there’s so much more than just writing to do now I’m nearing publication. There’re blogs to write, pitches, interviews, synopses, edits, websites, Facebook, Twitter – there’s always something! I tend to deal with emails first thing, then after lunch is my best writing time – and late at night! Sometimes I’ll be up till 3am writing if I’m really into it – or if I have a looming deadline! I would really recommend mixing and mingling with other writers at workshops and classes. Writing can be a very solitary existence and there’s nothing more inspiring, encouraging or reassuring than spending a day with other writers – it recharges your batteries and your imagination and leaves you fired up and impatient to get back to your writing! It’s also really useful to give feedback on each other’s work, if you trust their judgement, as family and friends can be a little bit biased! And enter competitions – as well as often receiving invaluable feedback, it can be really difficult to get off the slush-pile as an unpublished author, and if you can say in your covering letter that your work has won or been commended in a competition it’s a real leg up the publishing ladder. It worked for me! Thank you Katie for joining us today. I shall definitely try to enter more competitions. Lovely interview, I'm really looking forward to reading Someone Else's Life, and really intrigued by the blurb for your second book Katie! Fun Big Break interview, Vivienne! The author sounds real and very enthusiastic about writing!